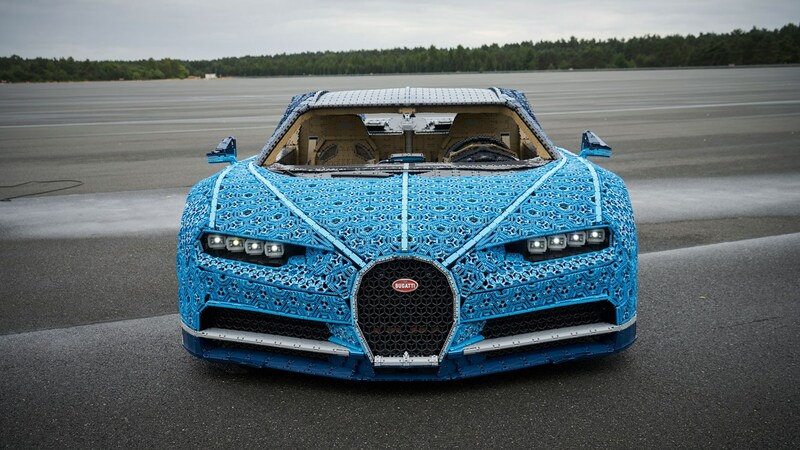 Earlier this year, Lego released a scale kit of a Bugatti Chiron. Measuring 14cm high by 25cm wide, it wan’t exactly small, and featured over 3600 pieces and a working gearbox. 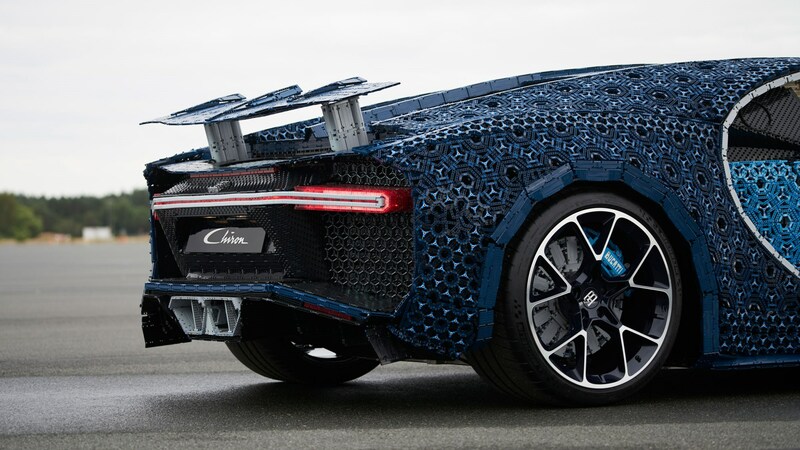 However, it seems Lego has severely escalated the situation; now it’s made a life-size Chiron out of building blocks, and you can actually drive it. 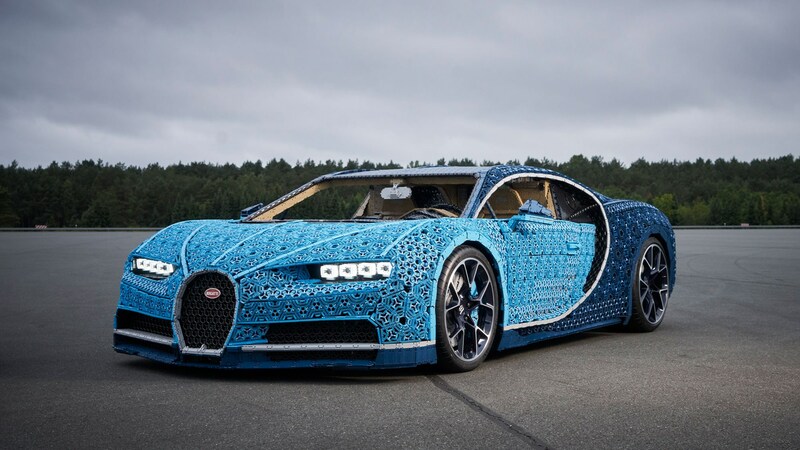 Lego says the project – which uses over a million pieces of Lego Technics of 339 varieties – took 13500 and the best part of a year to get on the road. At 1.5 tonnes, it’s not exactly light, but uses 2304 Technics motors, 4032 gear wheels and 2016 cross axles to put out 5.2bhp and 68lb ft of torque. That’s enough for a top speed of over 12mph, which is the same as some show cars. 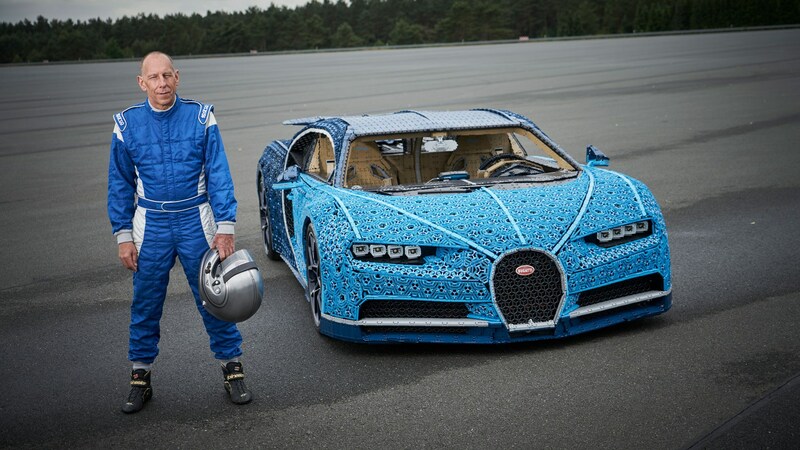 Oh, and Lego got Bugatti’s official test driver and former Le Mans winner, Andy Wallace, to drive it. 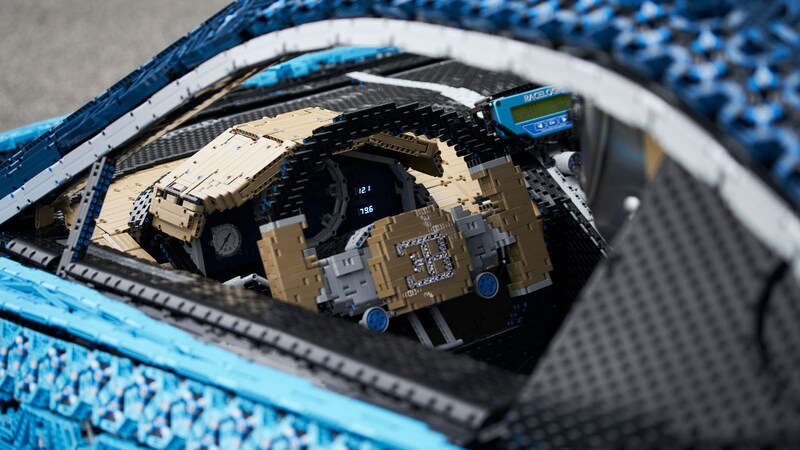 What’s most impressive about this is the fact it actually happened, but also the amount of Lego used in the project. 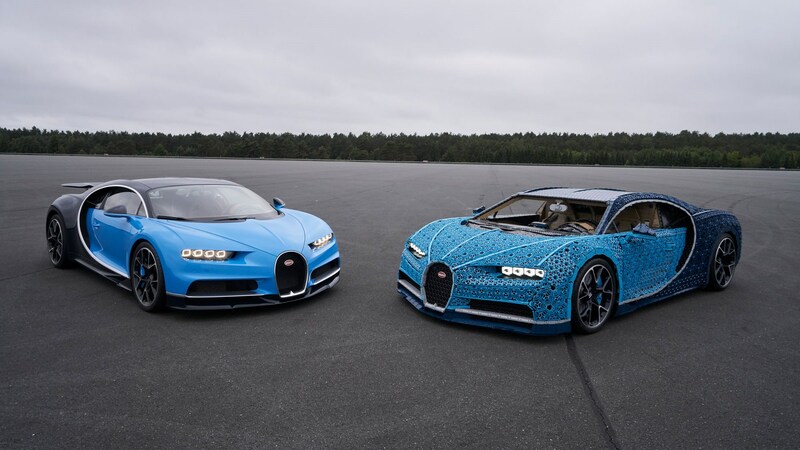 The bodywork of the Chiron has been made out of a complex skin of Technics pieces, while even the Bugatti’s airbrake is made out of lego – it’s not as efficient as the real one's though. 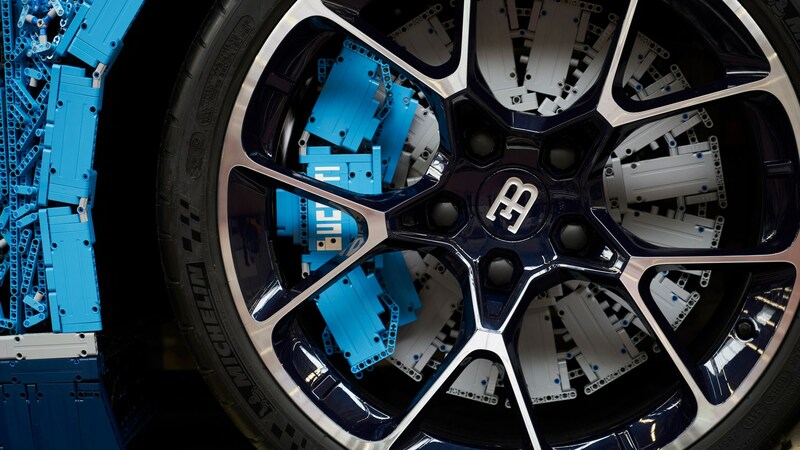 The interior features a blocky resemblance to the real Chiron's, and it’s only the wheels - which come from the real car – and elements of the drivetrain that aren’t made of Lego bits. We've spotted a hilarious Racelogic readout and disc brakes in some of these images, too. 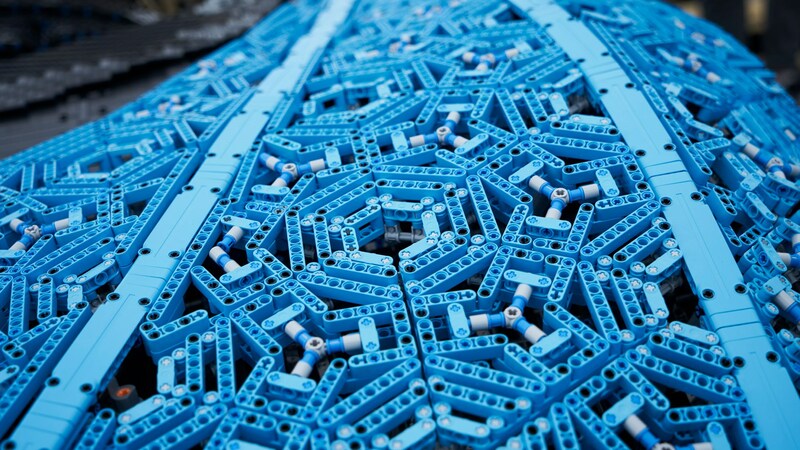 What's more, glue hasn’t been used anywhere in the build, which makes the whole thing even more impressive.